Going solar has become the trend for both homeowners and businesses around the world. However, most businesses that have not gone solar may be looking for answers to determine whether going solar is right for them or to find out whether solar panels are worth it. Doing some initial preliminary research on your own may help you determine whether commercial solar panels are worth it or not? Whether you are a small business or a big corporation, the first step begins by searching for case studies whether online or visiting interesting commercial solar projects you may have heard about in your community or even contacting solar contractors in your area. However, you may not know any commercial solar projects in your community or might want to get some preliminary information before deciding to contact your local solar contractor. Therefore, searching the web may be a good place to start from. That’s why this blog has been written with you in mind to help you find out from existing resources whether commercial solar panels will be suitable for you or not. Today it is possible to conduct an online research with the use of solar market places and get solar quotes from different pre-screened solar installers. Also, you could determine the potential savings you could attain with solar by using such solar market places. Solar panels are becoming an important component of energy systems for businesses because they can help to reduce the overall energy bill while saving you money in the long run that could be used to grow your business. Going solar can also be part of your corporate social responsibility (CSR) project and thus help in branding of your business. These are just a few benefits of going solar and reasons why some businesses around the world are switching to solar. In the USA, more and more businesses are installing solar and Walmart is leading when it comes to switching to solar. Both big corporations and small businesses are installing solar energy to reduce their energy costs while improving their bottom line and this move is being caused by the decreasing costs of solar panels making solar energy an appealing investment for businesses. However, going solar for businesses will require a bit of research to know whether solar panels can actually save you money and thus good for their bottom line. 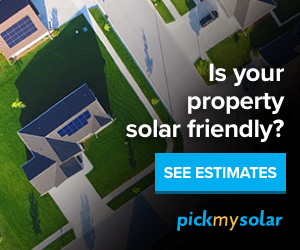 You could use two ways to determine whether solar panels will be right for your business without visiting any solar projects on the ground or contacting solar contractors in your area. Search for good commercial solar case studies on the internet. Use the online solar market places. With the growing solar industry, there are several commercial solar projects that have been completed and have already started to save companies money. Today if you are to search online for case studies on google you will pull a lot of commercial solar projects ranging from projects implemented by Solar City, Solar World, SolarCraft, Sunpower, Energy Matters and many others. For instance, Solar City is one of the fastest growing solar companies in the USA and is helping private companies like Walmart to go solar by providing technical support to Walmart’s solar projects in the country. Click here for more details and learn how Solar City is helping Walmart go solar. SolarCity also has successfully installed a range of commercial projects in the US for government as well as for private companies such as Walmart, MillerCoors, Ebay, Walgreens, Hewlett Packard etc. According to Solar City, it has implemented more than 200 Walmart solar projects. Walmart’s California stores will help the company reduce between 5–30% of their power when these solar panels are up and running. Check here to learn more about the Walmart Solar project. Today with the recent technological breakthrough in software development, there a few online solar market places that potential solar buyers or consumers can use to get pre-screened solar quotes while comparing different solar plans from different solar companies. This way, a potential customer is able to go online and even determine how many solar panels they may need to go solar; what savings they can achieve with solar while at same time determine whether solar panels are worth it or not by just typing their home or business address into the online solar market place. In addition, the consumer can select the type of solar panels as well as the solar installers in their area they want to do the installation. Some of these market places include EnergySage, Google Project Sunroof, and Pick My Solar. Though not at all of these market places are configured to conduct analysis for commercial solar. However, the EnergySage solar market place has this configuration and you can use it to do your online analysis for your commercial solar panel system. Online System that allows for comparison between different solar installers that helps the solar consumer to choose their best option. Educational materials are provided to the consumers to enable them make good choices about their solar energy system. Get your commercial solar quote today by clicking here. Your website is terribly informative and your articles are wonderful. The sun is an extraordinary source of power that is available in the world. In the last few years, Many home owners and business owners are using solar power as an alternative energy for convenience and to save money.